If there’s a mistake that basically the entire APW staff has made, it was assuming that DIYing your wedding flowers like a pro is… easy. But make no mistake. 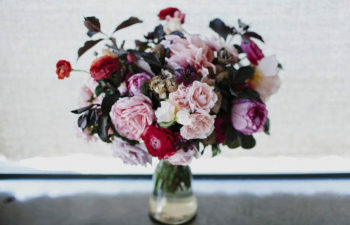 You can DIY your wedding flowers! And we’re here to guide you through how to do it in a way that won’t make you regret your choices. Not that we know anything about that.